The new attorneys are recognized by Justice Steven D. Ecker. 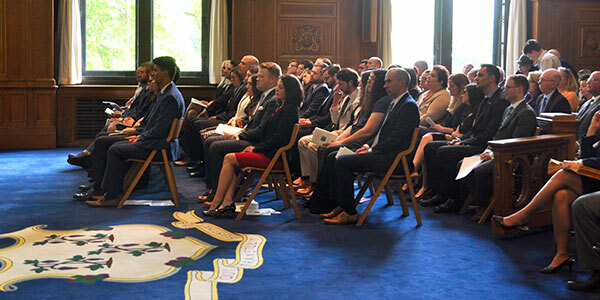 The Connecticut Supreme Court on Friday, June 8, 2018, swore in 42 new attorneys during a ceremony at the Supreme Court. 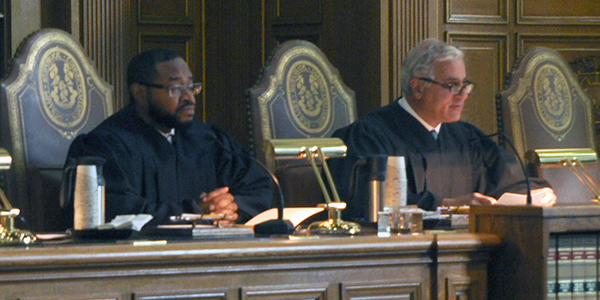 Chief Justice Richard A. Robinson welcomed the group and their family and friends; Justice Steven D. Ecker followed with remarks. 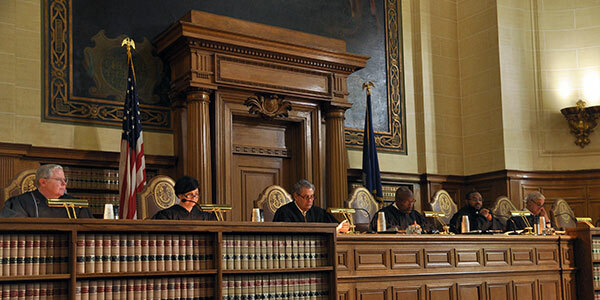 Attorney Amir Shaikh, who is a member of the Connecticut Bar Examining Committee, made a motion to admit the successful candidates, and Justice Richard N. Palmer then administered the Oath of Attorney. Supreme Chief Clerk Carolyn C. Ziogas next administered the Oath of Commissioner of Superior Court. The event also included a welcome to the new attorneys from Attorney Karen DeMeola, president of the Connecticut Bar Association. 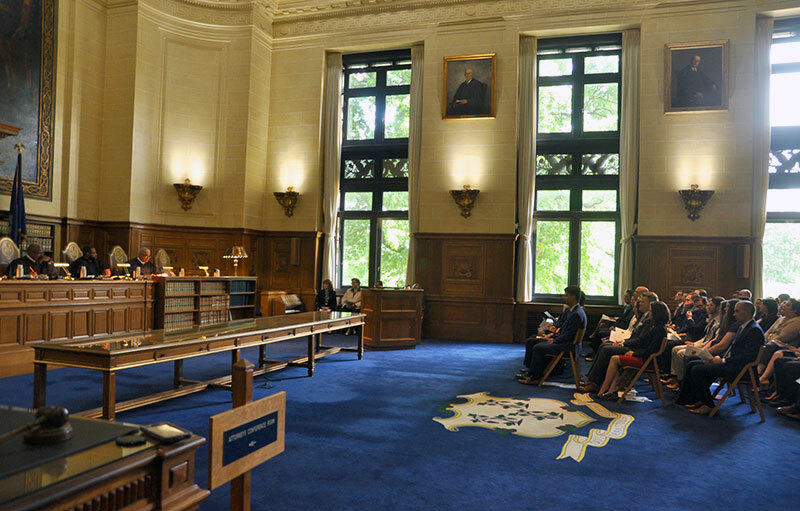 Chief Justice Richard A. Robinson welcomes the 42 people who were sworn in as attorneys on June 8, 2018, at the Supreme Court. Justice Ecker addresses the new attorneys. 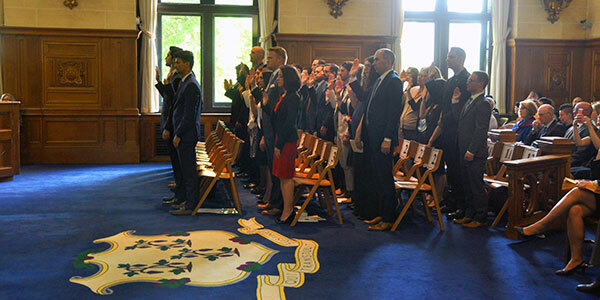 The new attorneys take the Oath of Attorney. The new attorneys at their swearing-in ceremony. 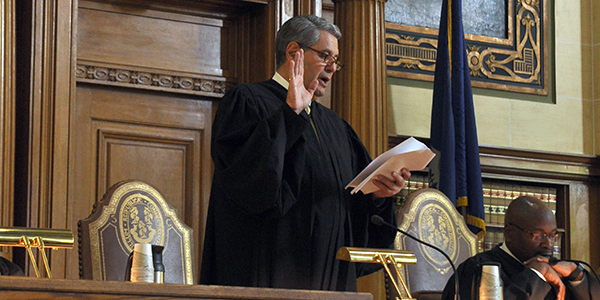 Justice Richard N. Palmer administers the Oath of Attorney.